Looking to save thousands? Look no further, this Town home qualifies for a NO CLOSING COST LOAN. 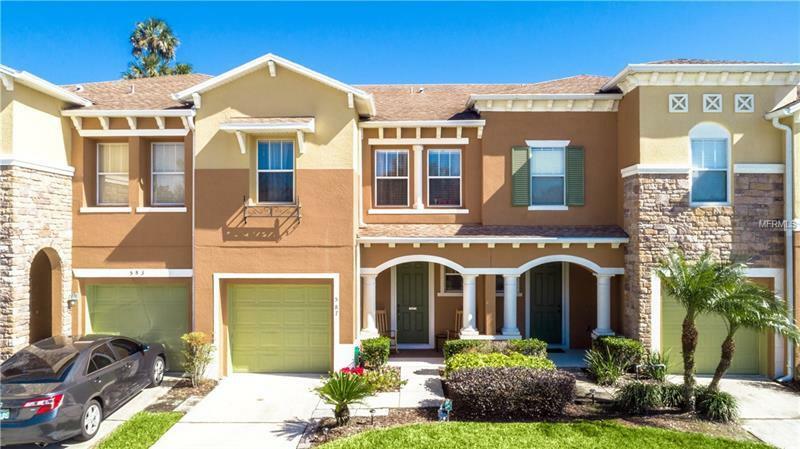 Lovely 3-bedroom 2.5 bath town home in the gated community of Preserve at Eagle Lake. First floor has a large foyer and half bath with NEW laminate wood flooring throughout and plenty of storage space under the stairs and throughout the home. The kitchen has upgraded 42-inch maple cabinets, gleaming granite counter tops and a large pantry. Plenty of cabinets and counter space to accommodate the chef(s) in the household. On the 2nd floor there is space for a computer workstation and the laundry room is conveniently located upstairs. The master bedroom has a generous walk in closet, and master bathroom with dual sinks and a large shower. The secondary bedrooms are good size with ample closet space. There is a patio area off the family/dining room that overlooks the conservation area- no rear neighbors! The community has a playground, walking trail and pool that overlooks wonderful views of the lake. Hurry- these units don't last long. Easy access to the 417, Lake Mary and surrounding areas.